The apps in question were first spotted by WinBeta this morning, after being originally published yesterday. We got in touch with Microsoft to ask about the issue. Microsoft takes the intellectual property our ecosystem seriously and we use several layers of deterrence and response to help protect it. First, we encourage developers to take advantage of obfuscation tools for an added layer of protection. Because the Windows Phone Store is the only authorized source of public apps and games for the Windows Phone, developers can more easily police infringement of their apps by monitoring the Windows Phone Store and notifying Microsoft if infringement occurs. Microsoft provides online tools and an email alias (reportapp@microsoft.com) to enable developers to quickly report infringement of any apps they locate on the Windows Phone Store for immediate review and, when appropriate, removal. In cases where the infringement is disputed, we permit alleged infringers to dispute infringement via counter notices. Finally, Windows Phone educates every developer from the very start – before apps are even submitted – reminding them in our developer agreements and policies that Microsoft does not permit infringement of intellectual property of others. While this is all true, the fact of the matter is that these apps should not have made it through in the first place. The last sentence implies that developers are told they shouldn’t submit fake apps, but unsurprisingly that isn’t enough of a deterrent for some. 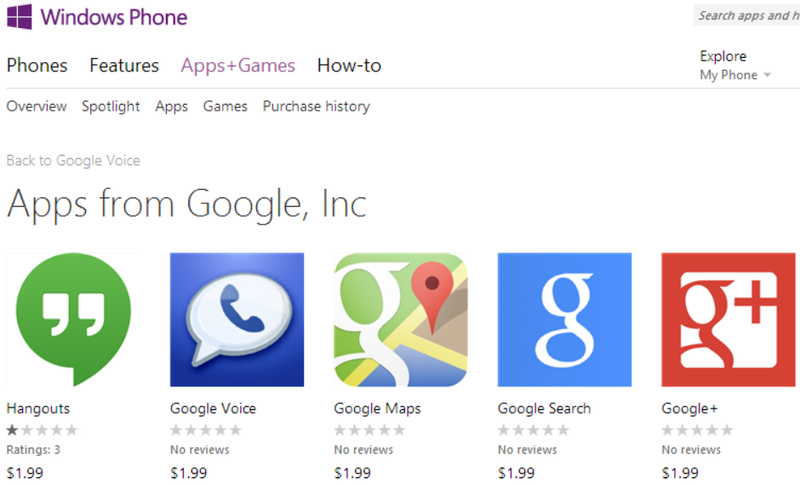 Microsoft has been regularly criticized for having a low bar when it comes to approving apps into the Windows Phone Store. While these six apps may be gone (they still appear here, but we checked on a Windows Phone device and they have indeed been removed), many fake apps still remain. Searching for “Google” or “YouTube” or really any other big name that doesn’t have an official app brings up many apps that shouldn’t be available. Unfortunately, Microsoft hasn’t addressed the bigger problem here: fake apps are getting through, and the company’s app approval process needs a serious overhaul. 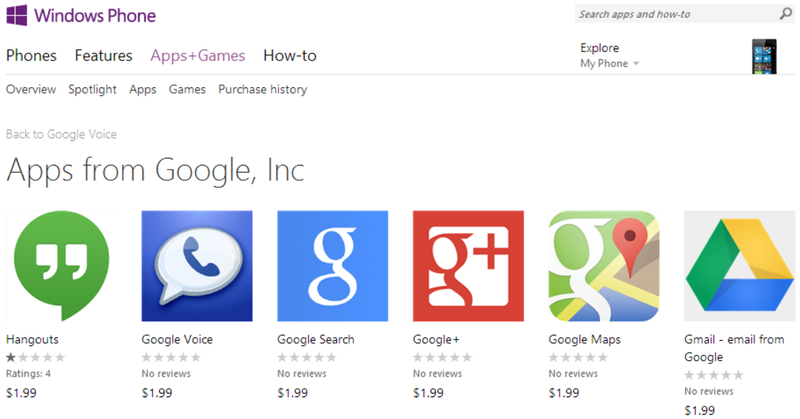 We have contacted Microsoft again to find out how these apps were approved in the first place. We will update this story if we hear back. Unfortunately, Microsoft still isn’t addressing the larger issue of these apps being approved in the first place.